I had a problem. I loved 'reading' audiobooks, but some books, for whatever reason, don't make it to audiobook form. So, how to circumvent that issue? Well, there is a way. Open Settings --> General --> Accessibility --> VoiceOver. Slide the Speaking Rate slider in the middle between the tortoise and the hare. (Start in the middle and come back and adjust as needed later). Do NOT turn on VoiceOver (yet). Click the back arrow in the upper left of the screen to go back to the Accessibility menu. Triple Click the Home button to turn on VoiceOver. You will hear Siri say, "VoiceOver on" If you don't, that means your volume is probably turned down low. Now, your iPhone is ready to read to you. How you navigate through the Kindle App with VoiceOver on is not immediately intuitive. That is why you don't want to turn on VoiceOver in step 1. To get Siri to read you the book, simply click on the book and swipe 2 fingers down on the screen. This provides you continuous reading. It will "turn the page" for you and read it aloud. A two finger press on the screen gets the continuous reading to stop. Voila! There you have it. 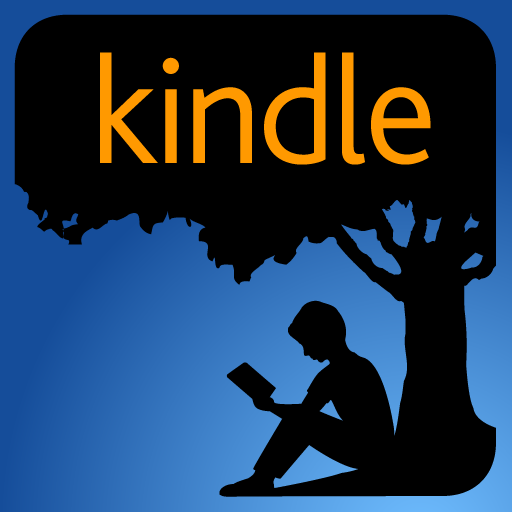 Now your iPhone can read to you any Kindle Book. Now, let's be realistic, it's not a GREAT listening experience. It's not David Attenborough reading to you, but you do adjust to it. If you happen to get a phone call from your wife telling you "Don't forget to blow the leaves off the patio too!" while you are reading an audiobook, again the first thing to do would be to turn VoiceOver off, instead of trying to figure out HOW DO I JUST PICK UP THIS PHONE CALL?? Just calmly triple-click the home button and then everything is the same as you're used to.